Caversham Computers will be closed from 5pm on Wednesday 21st December and will re-open on Tuesday 3rd January 2017. We wish all our customers a very happy Christmas holiday season and a peaceful and prosperous New Year. We would also like to extend a sincere thank you to all our customers during the past year and we look forward to being of service to you in 2017. 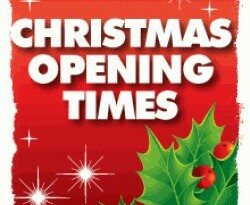 We will respond to customer enquiries received during the Christmas holiday period when we re-open on Tuesday 3rd January 2017.